ASU presidential adviser Duke Reiter, President and CEO of the Arizona Community Foundation Steve Seleznow and ASU president Michael Crow speak at the Ten Across Water Summit at the Desert Botanical Garden in Phoenix, Arizona, on Wednesday, March 27, 2019. While water policy usually tends to be a dry topic, ASU presidential adviser and former design school dean Duke Reiter is putting a fresh spin on old ideas with the 10X media project. Reiter started Ten Across, or the 10X media project, to provide a platform to form strategic partnerships around the critical issues of today and foster the exchange of information on pressing topics, such as those related to society and the environment. The group creates media in a variety of formats, including print, digital and broadcast, and hold summits to discuss findings and challenges. “We think that statistically it is obvious that these issues are important and they are happening here," he said. "You also need to have a story to go with it, and it turns out that the story of the 10 turns out to be quite compelling." The project brings together universities, private stakeholders, industry specialists and researchers to explore a plethora of issues in the swath of land along the I-10 corridor, which is the southernmost states of the U.S. connected by the I-10 highway. As Arizona continues in its over 21 year of a long-term drought, the project has made Phoenix its latest site for the 10X Water Summit over the last three days, hosted in part by ASU. One panel during the summit featured Reiter, ASU President Michael Crow and the President and CEO of the Arizona Community Foundation, Steve Seleznow. Environmental incidents along the corridor provide a window into the overall health and future of the society, Reiter said. Reiter said Arizona, with its increasing water woes, make it a prime spot for the summit, as the collaborative minds brought together by the summit can help address them. Lake Mead is a reservoir in the lower-basin of the Colorado River that provides water to over 25 million people, including Arizona. But in recent years, the lake has been in trouble, ebbing closer and closer to federally designated "trigger levels" that would require states to cut back on the amount of water they use. As the summit happened, a deal that would outline how states would share that limited water during a drought called the Drought Contingency Plan (DCP) cleared a major hurdle, receiving bipartisan support from the Senate subcommittee that oversees water issues, which is chaired by Arizona Republican Sen. Martha McSally. The takeaway from the reception featuring Crow alongside Reiter and Seleznow was that I-10 needs to be viewed more than just a stretch of land, but also as a window into the future, and a connection between communities. The states within the I-10 corridor — with their variety in population, environmental issues and other characteristics — serve as a microcosm for the U.S., Reiter said. Crow emphasized the ingenuity and the importance of the I-10 corridor as something beyond a mode of transportation, but as a way to connect disparate communities, people and ideas. In addition to viewing I-10 beyond simply as a road, Reiter said the purpose of the project is to tie the compelling narrative of the I-10 states to some of the most pressing issues, like water scarcity. "We’ve taken evidence of things that are happening that we need to pay more attention too, and attached it to a larger storyline, a narrative that allows people entry into the idea," he said. 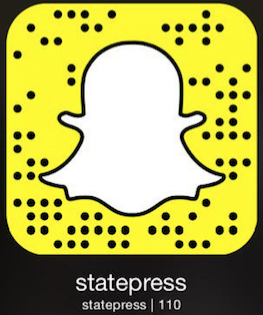 Reach the reporter at isaac.windes@asu.edu or follow @isaacdwindes on Twitter.